Irvine Peacock, Barrie Tullett and Philippa Wood are a collective called The Caseroom Press; an independent publisher whose work explores the function and format of the book, from single limited editions to multiple copies; from poetry to prose; from the artist’s book to traditional print; from stencils, to typewriters, to wood and metal type; from litho to digital. 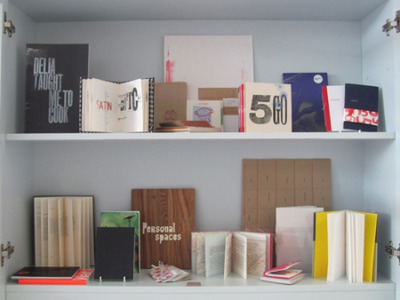 This exhibition at the Bower Ashton Library, UWE, Bristol, showcases a range of books, objects and ephemera. These range from individual pieces to wider collaborations, notably The MerzBox: a selection of works by a number of illustrators, designers, painters, poets, sculptors, students and musicians.